We work with a number of online dating sites offering fast and cheap translation services for men and women meeting for love and marriage on the Internet. We offer English to Russian, and Russian to English translation services for your emails or letters that you can send through online dating sites. We can even translate your words or letters in the same day if you need your translation quickly. Do you want to compliment your loved one using the best words? At Russian Translate we understand how important it is to say the right words to your new partner, and how you would like to impress them with your desire to understand their language. Please use the quotation form opposite to see how quick and easy it is to get your translation today. Maybe you already speak a little Russian or English, and would like us to check your translation for you? This service is very cheap and we can send your revised translation to you very quickly - even the same day if you need to send your letter or email today. We offer a full proofreading and translation service that will thoroughly check your writing for grammar and spelling errors. Maybe you have written an application for a job, University or College that you would like checking for errors? Or maybe an essay or letter to a business client or customer in England or Russia? Russian Translate can help you - please use the quotation form opposite for a free quotation. Applying for a University or College in England or Russia is very important and your translation must be as accurate as possible. For a very cheap cost we can help you write the best application that will impress your prospective College or University. Why leave it to chance when you can be sure of having a very accurate translation? Simply send us your documents and we will do all the work for you. Please use the form opposite to see just how easy it is to make sure you have the best success for your studies and future career. Offering a professional and thorough translation service for English to Russian and Russian to English, here at Russian Translate we can quickly deliver translations of your business paperwork, letters and quotations to your customers and clients. Because we concentrate purely on Russian and English translation, our prices are much cheaper than other translation companies on the Internet, whilst maintaining a very high quality of service. We also offer a same day service for your business letters and documents if you need them quickly. 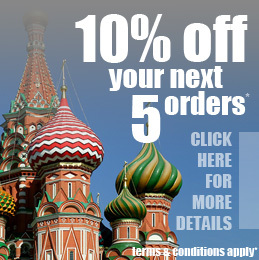 So please use the form opposite to see how we can help your business now to translate your Russian and English now.